Click the green "New" button to create a new workflow. 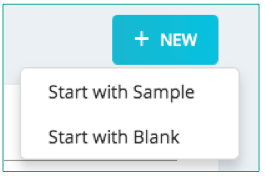 Workflows can be created from from a sample (pre-built) workflow, or from a blank workflow. Choose a Workflow. 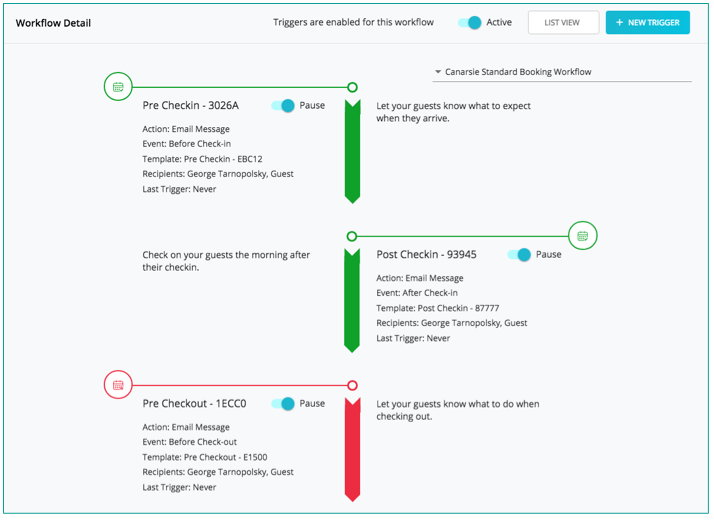 Sample workflows include pre-built triggers and templates for you to utilize and build on. 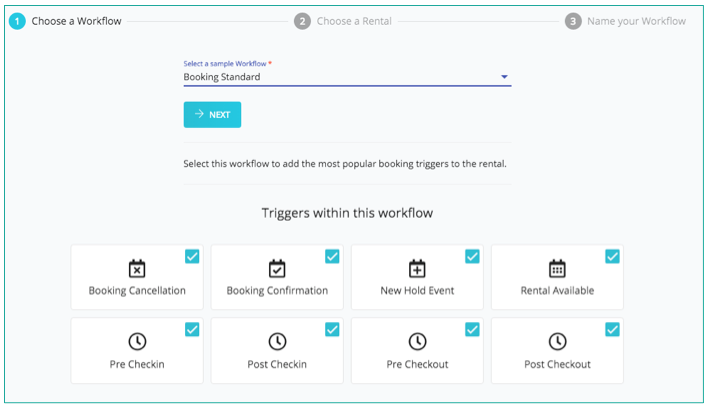 Click on each trigger to include / exclude triggers from workflow. 2. Choose a Rental and click "Next"
3. Name your Workflow and click "Create"
You are now returned to the Workflows tab. Click on the newly created workflow to make edits. Mouse over the icon next to any workflow step to Delete the trigger, or alternatively Pause a particular trigger within the workflow. Select Triggers. 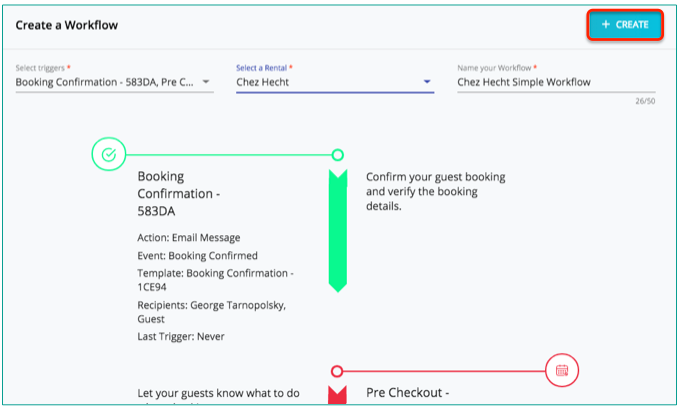 Workflows will automatically organize your triggers in a logical sequence.